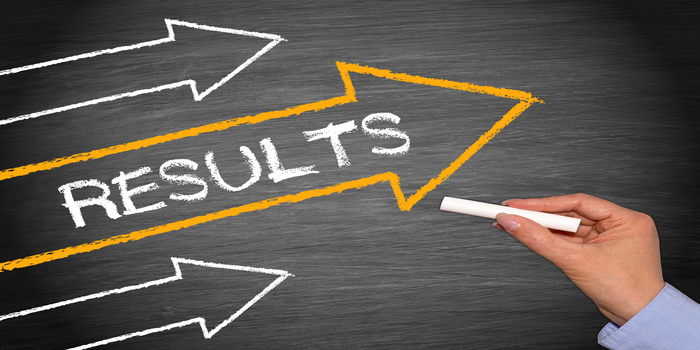 GSEB SSC Result 2019 - The Gujarat Secondary and Higher Secondary Education Board, Gandhinagar (GSHSEB) will declare GSEB 10th result in the last week of May 2019. Students can access the result of GSEB SSC online. To check GSEB SSC 2019 result, candidates have to enter their roll number in the login window for which link is given below in the article. GSEB SSC also releases the details including the number of candidates who took the exam, pass percentage and district wise performance along with the result. The board exams for class 10 are expected to be conducted in March 2019. In 2018, GSEB SSC Result was declared on May 28 for which exams were conducted from March 12 to March 23. It is expected to follow the same pattern this year also. Scroll down to know about steps to download result, previous year statistics. The table below provides the dates pertaining to exam and declaration of GSEB 10th Board result. Step 2: Candidates have to enter their roll number and click on submit button. Step 3: The result will be displayed on the screen. Step 4: Download and take printout for further reference. What details are there in Gujarat Board 10th Result 2019? The following details are mentioned in the result. The mark sheet of Gujarat Board consists of grades and percentile. Candidates were assigned grades – A1, A2, B1, B2, E1, E2 instead of first class or second class or division. Similarly, instead of the percentage, percentiles are mentioned on the mark sheet. The marks obtained in individual subjects are mentioned along with their grades. Also, the total marks along with the final grade is mentioned in the mark sheet. The interpretation of percentiles are mentioned at the back of mark sheet so that it becomes easier for candidates to understand. Gujarat Board 10th Result 2018 – What is percentage and percentile? The percentile indicates a student’s position as compared to other students of the same group. The figure tells what number or proportion of students of the group scored same or more than the student. Percentile is all about how the student has performed as compared to other students whereas percentage is only about how the student has performed. What after the declaration of GSEB 10th result? Post declaration of result, candidates who are not satisfied with the result can apply for rechecking and retotalling. The board will release notification in this regard. Candidates have to submit their application in the format prescribed by the board. GSEB also conducts the supplementary examination for candidates who fail to qualify in two or three subjects. Candidates qualifying the test have numerous options that promise better career prospects. Candidates are advised to choose the stream as per their capabilities. Candidates can check below the result statistics of GSEB SSC.